Welcome to FIU Coach Ballard, I hope you can right the ship. I hope Ballard is ready to hit the ground running... uphill road that is. Good luck sir! Welcome to FIU, Coach Ballard! Hoping you can be successful for this program! Seems like a good realistic hire for FIU though he is obviously unproven as a head coach. From what I can tell he seems well spoken, with an energetic and engaging personality, and seems to be relatable to players with a reputation as a great recruiter. He is also an Atlanta native and can hopefully provide FIU with good access to that area for recruits. He also has a connection to many of the players that recently left Pitt when Stallings got fired so may be able to get FIU a talented player or two from there. What is less clear is his ability to coach though his background under Shaka Smart, Doug Wojcik (while successful at Tulsa) and last year with fellow Shaka Smart disciple Mike Rhoades is encouraging. Rhoades should be familiar to CUSA fans with his recent success at Rice before leaving for VCU. Overall, I’m encouraged by this hire even though it is not the splash hire I was hoping for. We’ll just have to see. Anyone know terms of the contract? I hope it wasn't a multi year offer, not because I don't have faith in Jeremy, more so we can have the flexibility to look elsewhere if it doesn't work out. We can't get into another four (?) year term like Evans and just wait it out because we couldn't afford a payout. FIU doesn't work on a negotiation bubble, there is no decent Coach that's going to come to a new job for the job security of 1/2 years, especially a job like FIU's basketball situation. He got 4 years at a minimum and probably 5. Go F I U! Coach Ballard definitely seems to be full of energy. I like it. It will be fun to see how the constant press style works out. 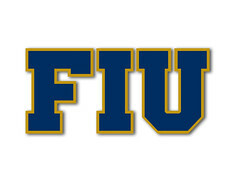 Welcome to FIU! I hope Ballard sticks to his guns on the relentlessness. I used to watch UTEP with Don Haskins at the helm: even though Haskins had a tough time recruiting blue-chip players to El Paso (Hardaway was one of the rare exceptions) it was enjoyable to see him squeeze blood out of turnips and invariably make life miserable for notable opponents who thought they were getting a cupcake win. The one time in his life when Pat Riley got anything resembling comeuppance was when Haskins' guards embarrassed him (as Kentucky's PG) in the National Championship game in 1966. I'll go watch Ballard's teams if he makes them play like that, but no way am I going to watch a bunch of marginally talented juco transfers with zero connection to FIU loaf up and down the floor. We haven't had a hard-nosed coach since Bob Weltlich and Shakey Rodriguez (never mind that the latter thought things like rules and regulations were for sissies).